These cookies are the first thing I ever remember making or baking. Ever. This is it – this is where I think I first fell in love with the kitchen. Not surprisingly, my Dad made these when I was growing up. They were (still are) the best. He got the recipe from my maternal Grandma Rosey, who got the recipe from her sister-in-law (my Great Aunt Dot), who apparently got the recipe from her neighbour. I can’t remember not eating these, they were simply a part of my childhood, and now are a part of trying to be a grown up. I think I started to make Monster Cookies with my Dad when I was in high school, or perhaps late junior high. I remember bringing them to school for my friends, which hasn’t really changed much because I still enjoy sharing them whenever I make a batch. People love these! And here’s why: they are chewy and just a little crumbly, none of this crisp cookie stuff going on here; they are nutty from the nuts (duh!) but also from the oat flour; they are perfectly chocolate-y, there isn’t too much or too little chocolate in each bite. These cookies are ridiculously good. 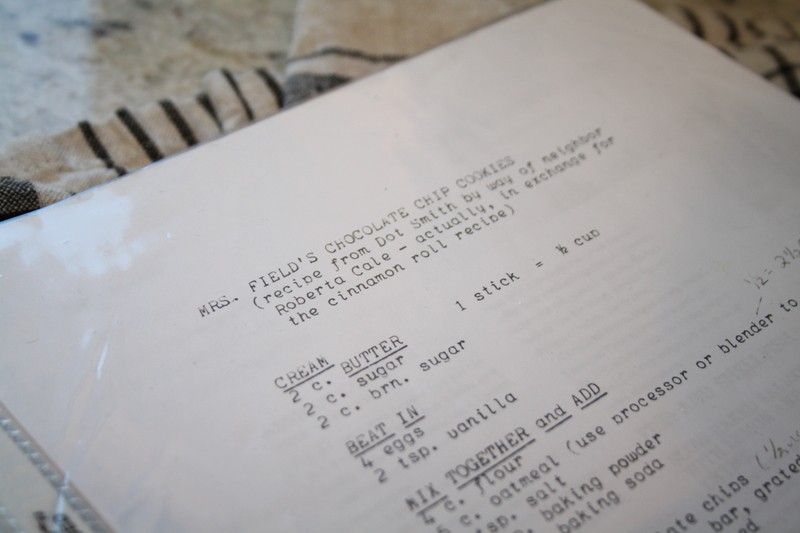 The recipe written below is a little different than the one we made when I was really little. 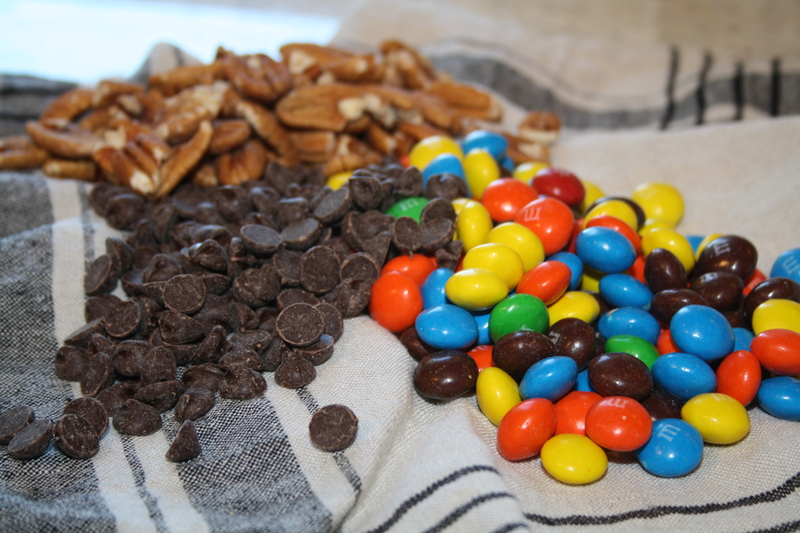 Dad is the first one who started to tinker when he added m&m’s, the original ones, to complement the chocolate chips. I think peanut butter m&m’s are amazing in this recipe, but the original chocolate are excellent as well. The recipe below is also different because it’s technically a half-recipe to the original intended yield. I, frankly, just can’t make that many cookies. The half-recipe still makes a lot, but when you’re making cookies of this size, it would take many, many batches to get through all of the dough. I’ve never frozen the cookie dough, but I think you could if you wanted to save some for a later baking use. My Dad used to make these cookies pretty big. My version is definitely bigger, and it’s out of nothing more than laziness. Again, I’m not a huge fan of baking things in batches. I want just enough cookies to fit on two baking sheets, so the cookies got bigger and bigger to ensure there was no leftover dough. Now I can’t have it any other way. You know how you find yourself doing things a certain way, and it’s not until you really think about it that you realize it’s because your parents do it like that? Yeah – that happens to me all of the time. I grocery shop at certain stores because, you know, Mom does. I have a day-timer that I carry around in my purse. For young people who don’t know what a day-timer is, it’s an actual little book with pieces of paper in it for each day. It is iCal 10 years ago. My Dad does that, by the way. So I was sitting at my kitchen table, breaking up nuts manually, one by one, and thinking to myself “why am I doing this???? ?” and then I realized: oh, because my Dad does. My Dad literally picks up a nut one by one and “hand chops” them. And I do too. It’s totally crazy. You can just put them in a plastic bag and bang a rolling pin over them if you’d like. It will save you 25 minutes. One of the reasons why this recipe is special is because it’s so adaptable. You can omit the m&m’s (or any of the goodies, really). You could add white chocolate and macadamia nuts. You can make them smaller. You can make them crispier by adjusting the baking time. I shared this recipe with a colleague a few years ago and she bakes them much crispier than I do – just prefers it that way. I personally like them chewy, but it’s really hard to go wrong. 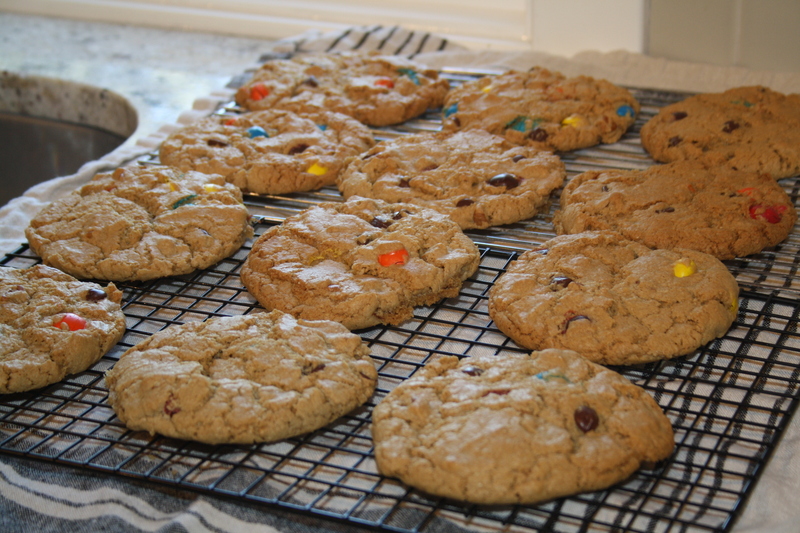 Just don’t omit the oat flour – I think that’s the secret to why they’re so delicious. 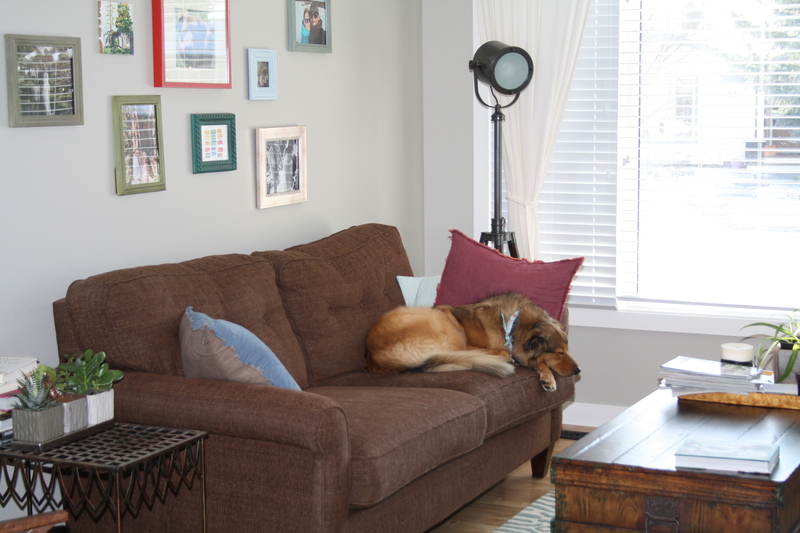 This guy’s always sleeping on the job. I’m calling HR. My Mum is so cute, so sweet and kind, funny in the not-trying-to-be-funny kind of way, and truly the farthest thing from indulgent. Except with this cookie dough. It’s hilarious, the woman could eat half the batch before it’s been baked! I’m not recommending this because of, you know, foodborne illness, but I have to admit the dough is pretty tasty. If you make these cookies and don’t save some for Mum in a bowl in the fridge, she will not be a happy camper. It’s now 2015 and I think to start the year off right you should bake these. Enjoy them. Share them. Love them! We sure do. 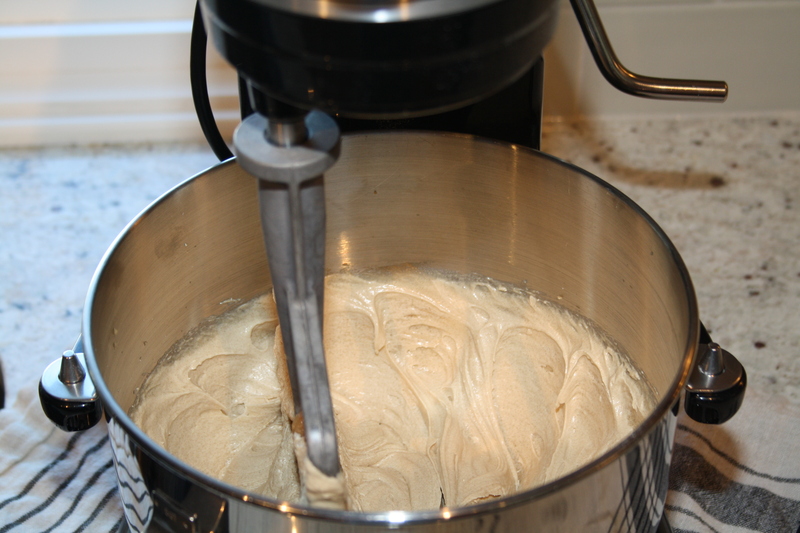 In the bowl of a stand mixer, add the butter and sugars. Cream on medium speed until fully incorporated, scraping down the sides from time to time. 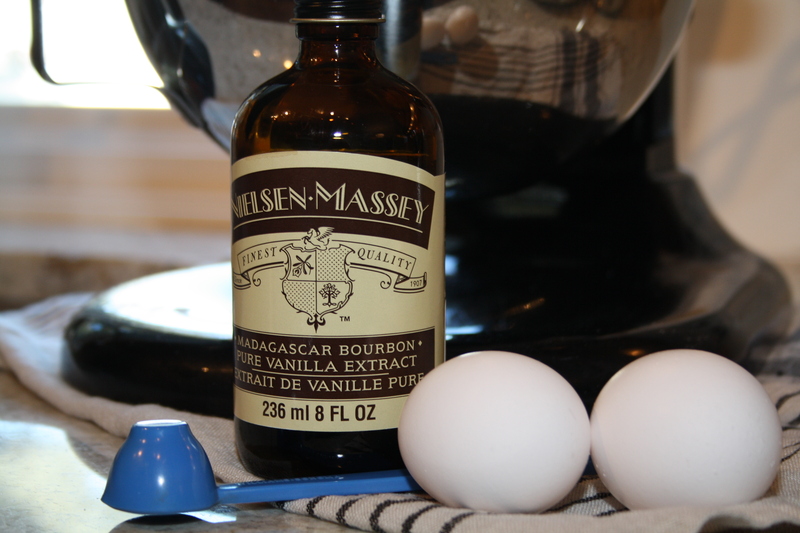 Add the eggs and vanilla and beat on medium-high speed for several minutes. The result will be a pale, fluffy batter. 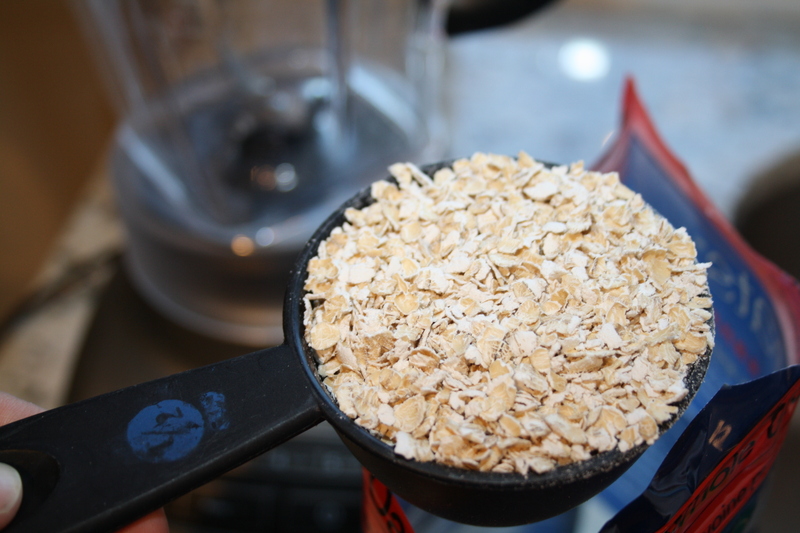 In a blender or food processor, blitz the oatmeal until it becomes a flour of its own. Add the oat flour to a large bowl, along with the all-purpose flour, salt, baking powder, and baking soda, and stir together. 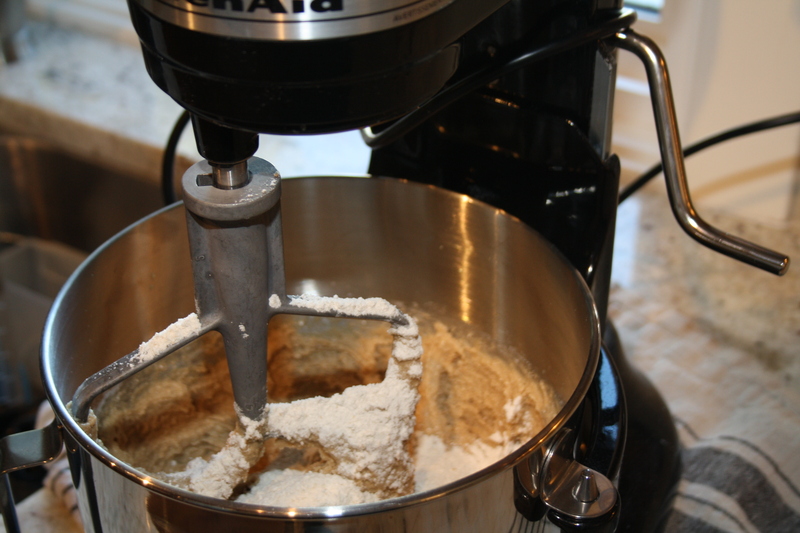 With the stand mixer on a low speed, add the flour mixture to the wet ingredients one spoonful at a time. Scrape down the sides if it needs it. Once the entire flour mixture has been added, remove the bowl from the base of the stand mixer as we’ll be manually stirring the batter from now on. 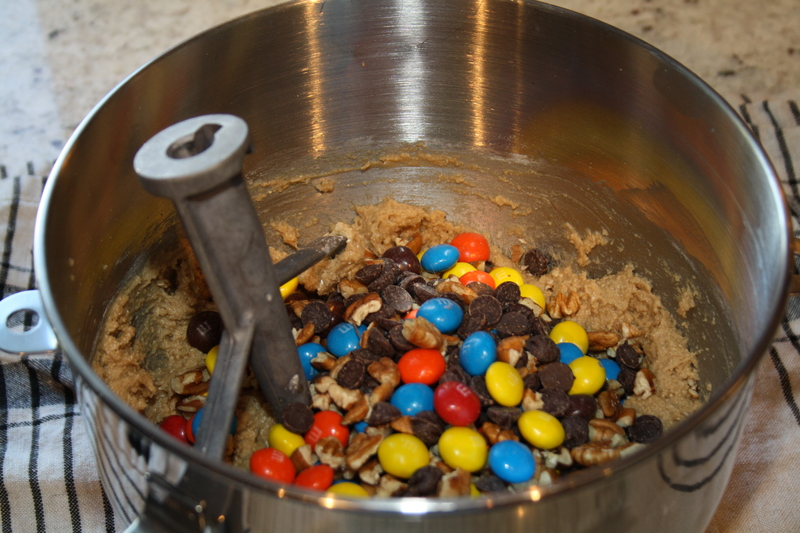 Add the chocolate chips, m&m’s, and chopped nuts to the batter bowl. Using a strong spoon (or your hands), fold the goodies into the batter until incorporated. At this point, you could refrigerate the batter in the bowl for about 30 minutes. It will be easier to form the balls if you do – I never do but always wish I had. 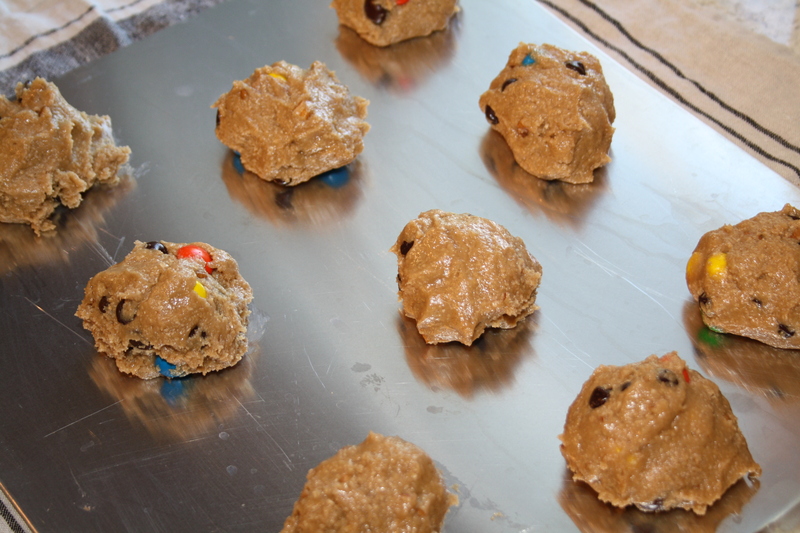 On 2 un-greased baking sheets, form balls with the cookie dough that contain about 1/4 cup of dough per ball. They will be big. Place the cookie balls about 2-3 inches a part on the baking sheet. If you didn’t refrigerate the dough, the cookies will spread out more during baking. 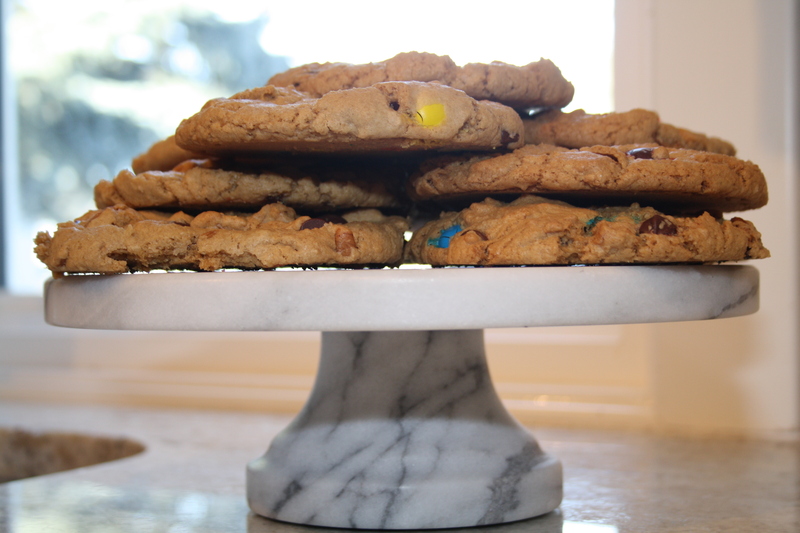 Bake for about 25 minutes, until the tops of the cookies turn slightly golden and no longer look spongey on top. They will continue to cook when you take them out of the oven so don’t wait until they’ve turned completely golden. Let them cool on the baking sheets for 5 minutes before transferring to a cooling rack. Once completely cool, enjoy right away or freeze for later.